SmartPing is the most advanced affiliate platform that provides affiliates with the best online affiliate marketing experience possible. Built for affiliates by affiliates, our software is designed to meet their specific needs. Get the best possible return on the traffic you generate. 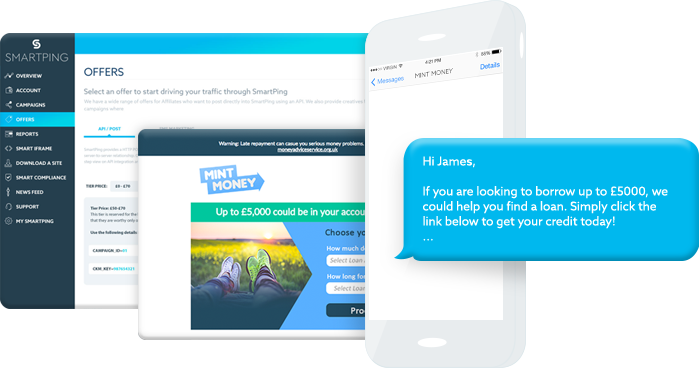 SmartPing’s affiliate network allows you to grow your business by generating customers through SMS, email, SEO, PPC and over the phone. Once those leads have been generated, you pass them over to us and we will deploy an army of marketers to work for you. When you join SmartPing, you become part of the most extensive affiliate network around. We unite you with those who drive your traffic, and give you all the tools you need to efficiently analyse your performance online. We offer the best commissions in the industry and we pay them on time, every single time - no exceptions. We keep our approach to commission transparent and flexible to make sure we’re always worthy of our affiliates’ trust, whilst allowing them to keep track of their earnings every step of the way. SmartPing gives you the most advanced features in the market to grow. 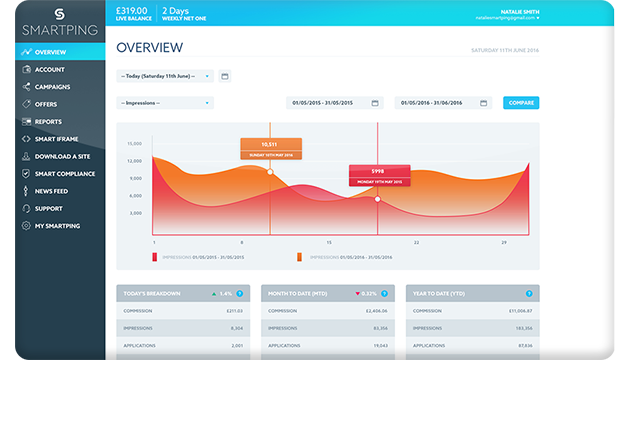 Track your performance, analyse and increase conversion and generate leading commissions. To achieve superior performance, you need complete, accurate and timely information about your leads – at your fingertips. 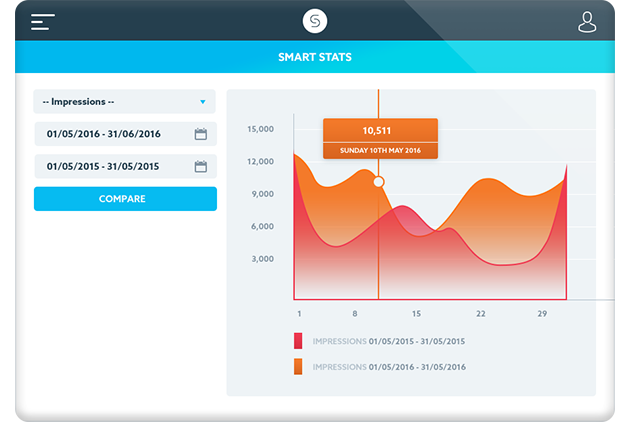 Smartping helps you to manage your data, so that you can focus on other things. So whether you’re on-the-go and need to see how things are going or you’re in the office and want an in-depth view, Smartping is available when you need it. On smartphones, tablets, and on computers. It’s the smart way to manage your partnerships. Have a Question for the SmartPing team? Visit our Contact Page. MindFlow Marketing Ltd is an Appointed Representative of Maintain Marketing Ltd, a firm registered in England and Wales (Company Number 09829835), who is authorised with the Financial Conduct Authority (Reference Number: 727520) and the Information Commissioners Office (Reference Number: ZA202297). Registered Address: 26-32 Oxford Road, Bournemouth, BH8 8EZ. Monetising your data has never been easier. You can send your data to our high converting websites using our creatives or post via our simple API. 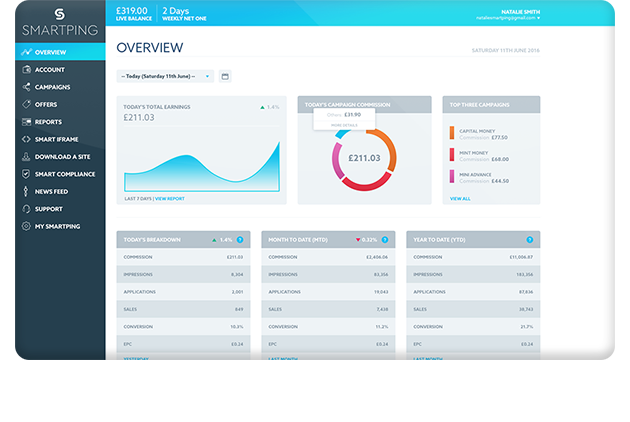 Simple websites, intuitive application forms, tailored customer journeys and great products. Everything required to provide your customers with what they need. We are masters of detail, optimising every single click to drive revenue. We focus on conversions to drive and grow your income - offering unbeatable commission rates and most important, we pay on time - every-time, guaranteed, no exceptions! Fully Authorised, principle status FCA organisation. The Customer is at the heart of everything we do - and we can help you protect your customers and your business. Join our principle status & grow your business overnight.